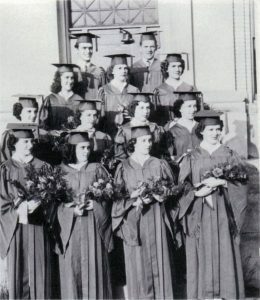 1st row: Marie Barry, Helen Lalone, Thelma Smith, Geraldine Pike. 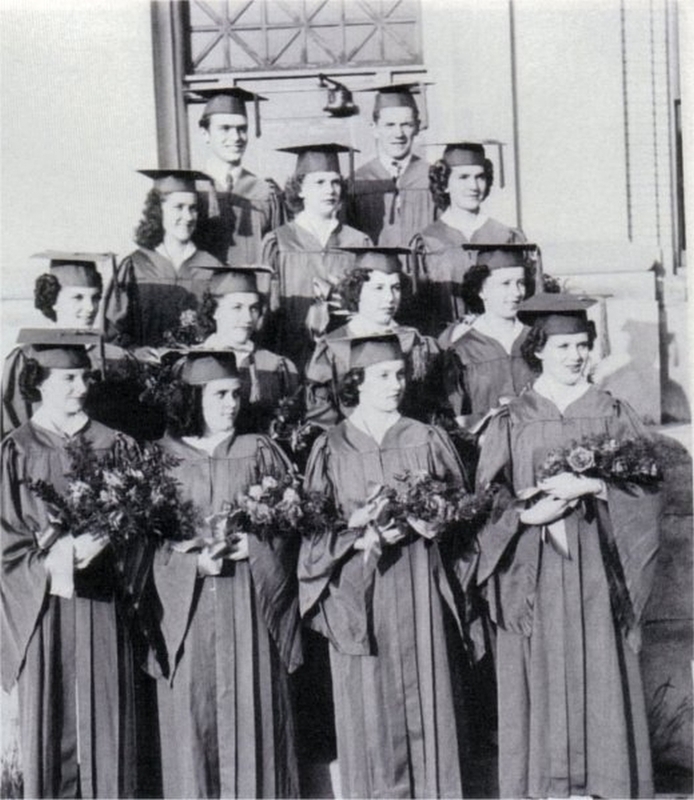 2nd row: Avis Backus, Marlene Morrow, Barbara Austin, Mary Jane Bullock. 3rd row: Lois Bullock, Julia Paro, Rogene Coughlin. 4th row: Lockland Jeffries, Roger Kelly.